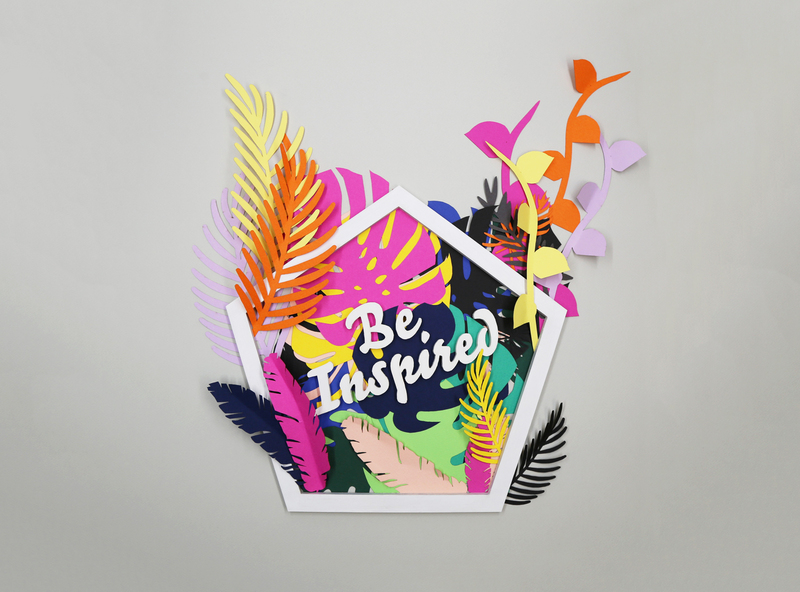 Art Direction, Illustration, Paper Craft and Design for Access Arts’ ‘Be Inspired’ Event. Access Arts’ ‘Be Inspired’ was an event held at The Edge, as part of State Library of Queensland’s International Day of People with Disability celebrations in 2016. Talia created a concept based on the event’s theme and activity of making paper peace lilies. 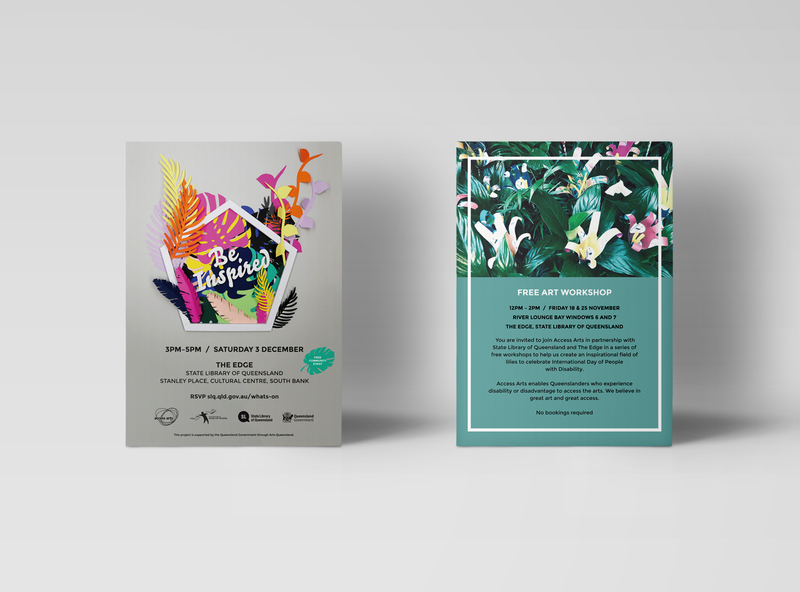 She was involved in illustrating flora and fauna, laser cutting them on card, assembling them and shooting them for use on promotional flyers and posters.